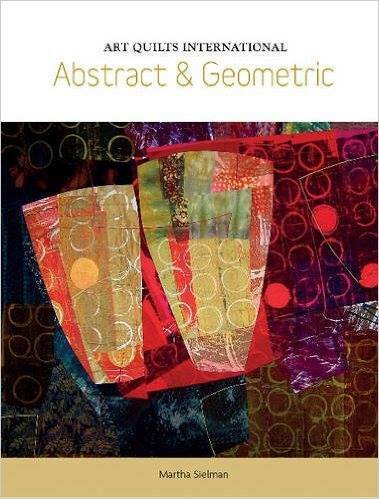 Abstract and Geometric, another stunning book in Martha Sielman's series on quilt art, has just been released this month and I am extremely fortunate to be among the artists selected for inclusion. As she explains in her introduction, Martha received over 1300 images in answer to her call for entry from 461 artists, the best of the best in the field. Profiles of 29 major artists and three galleries featuring 97 more fill this full-color feast for the eyes. I found many of my favorite artists as well as some whose work was new and very inspiring to me. Even if I weren't in it, I would have to own this book! Yum. Abstract and Geometric is available at SAQA.com. This entry was posted in Published, SAQA.